BSNL has announced the revision and extension of its promotional landline plan 'Experience LL 49' for a period up to 30th September 2017 in all the circles. This offer is available to both rural and urban customers in all telecom circles. In the revised 'Experience LL 49' plan, customers may enjoy monthly rental of just Rs 49/- for first One Year instead of six months. 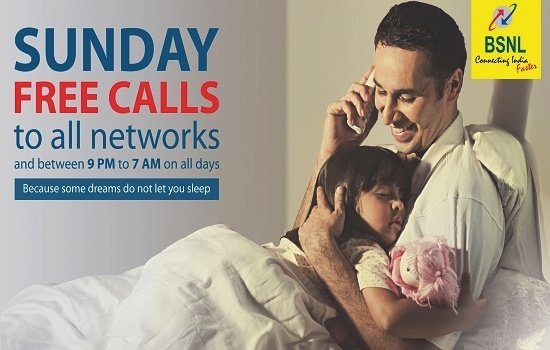 BSNL's Landline 49 plan is the most affordable and economical fixed line plan with unmatched offers like - 24 Hours Unlimited Free Calls to Any Network in India on all Sundays + Unlimited Free Night Calls (9pm to 7am) on all other days. As we already reported, BSNL also extended its promotional Unlimited Combo Broadband plan @ Rs 249 till 30th September 2017. Customers booking landline connections under this scheme will be provided a FREE BSNL prepaid SIM Card. The promotional Tariff will be applicable on PAN India basis for a period up to 30th September 2017 for both in Rural & Urban areas. Installation charges of Rs 600 is completely waived off for all new connection in Landline 49 plan. This promotional scheme is going to expire on 30th June 2017. Since this scheme helped BSNL to increase its landline customer base in most of the telecom circle, BSNL authorities has decided to extend the scheme further for a period up to 30-09-2017 in all the circles except Jammu & Kashmir, North East-I and North East-II circles. Current time: 04-25-2019, 02:06 PM Powered By MyBB, © 2002-2019 MyBB Group.